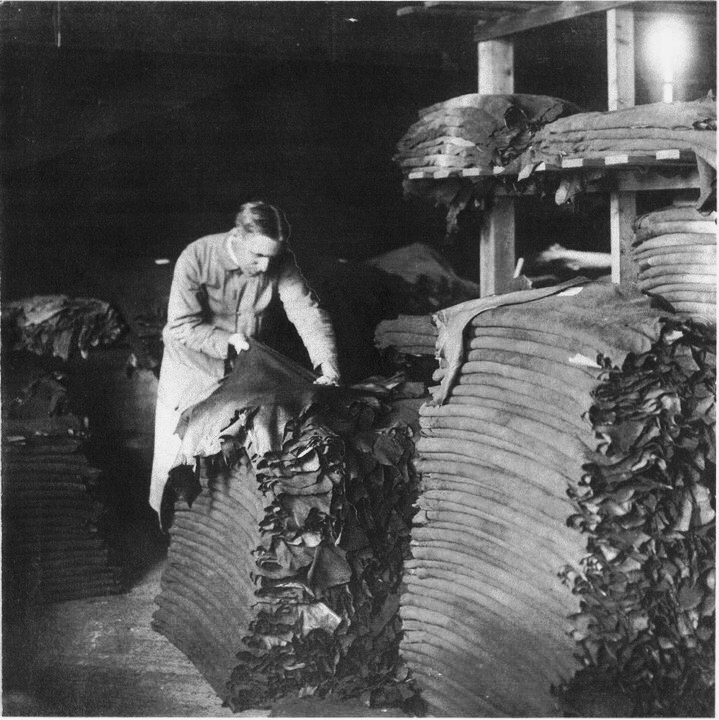 The bulk of Fulton County's history centers around the glove and leather industry. 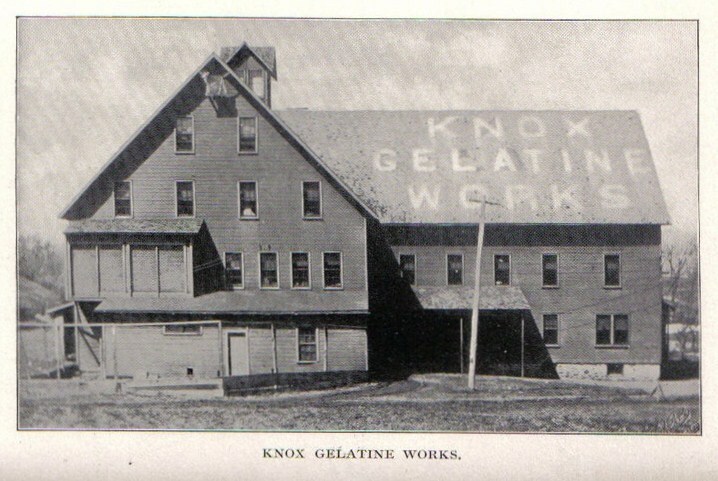 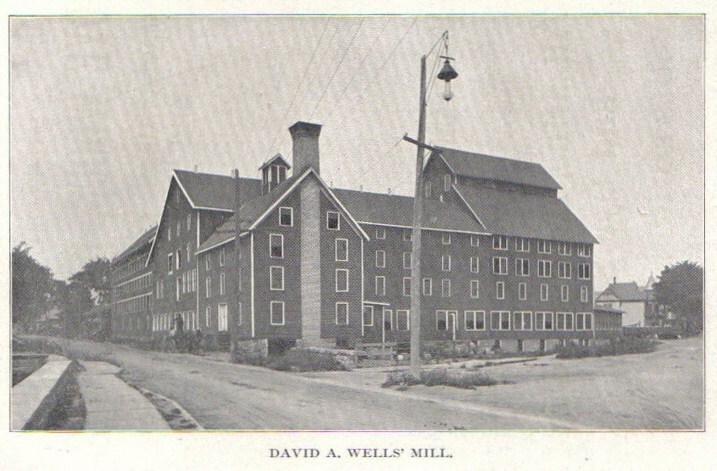 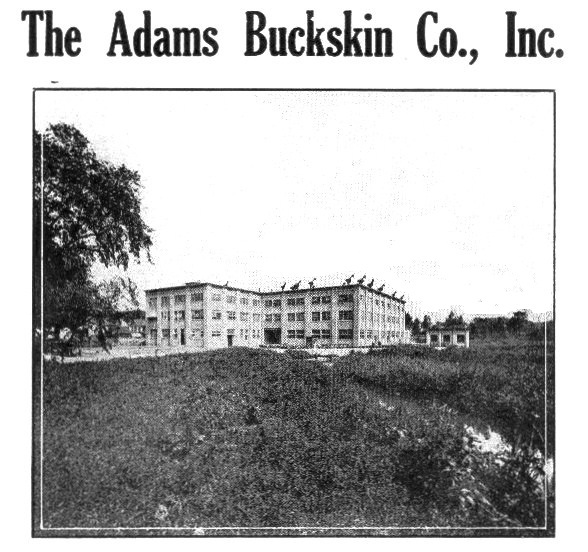 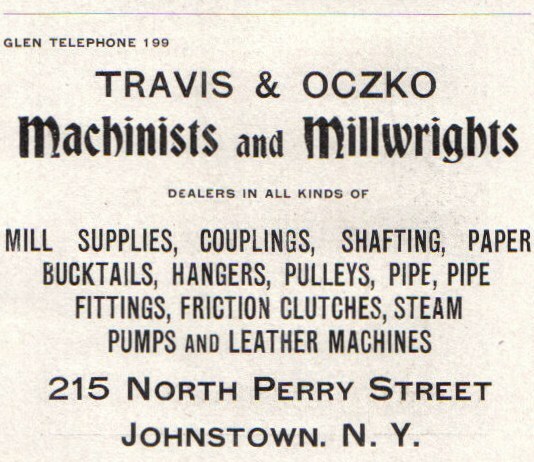 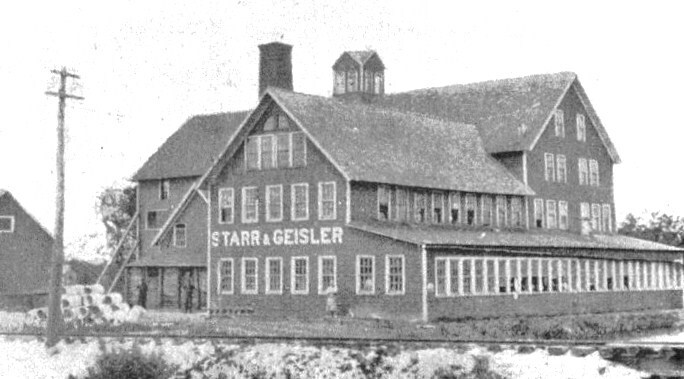 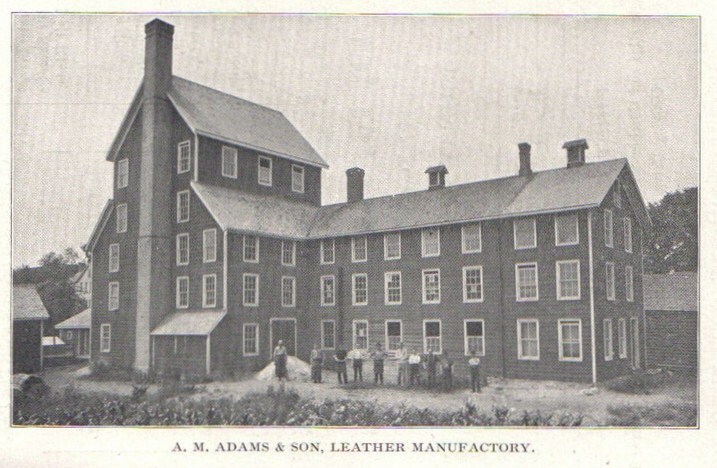 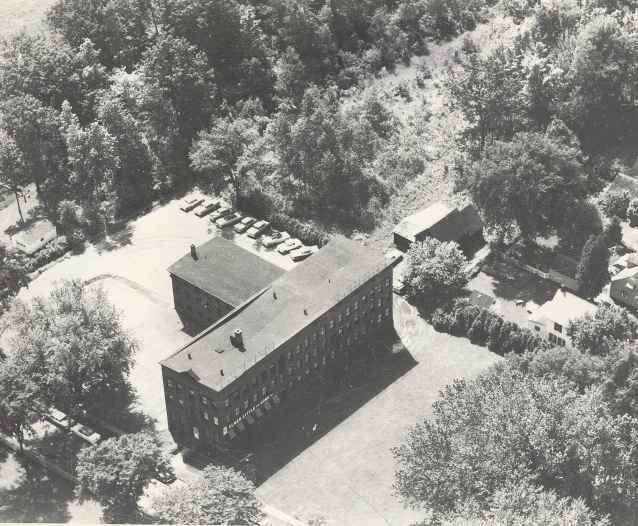 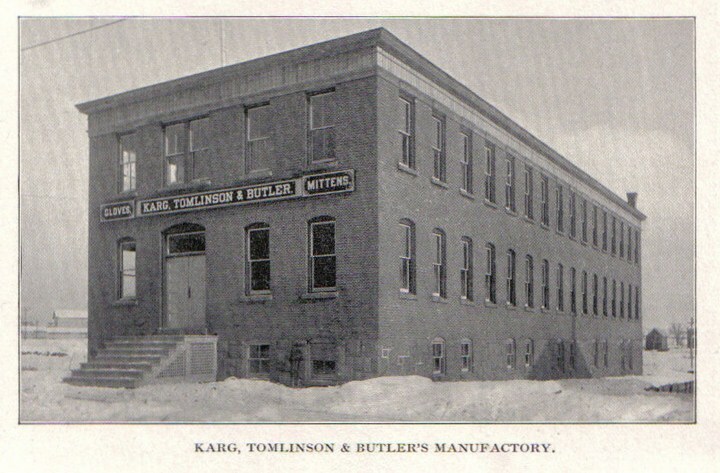 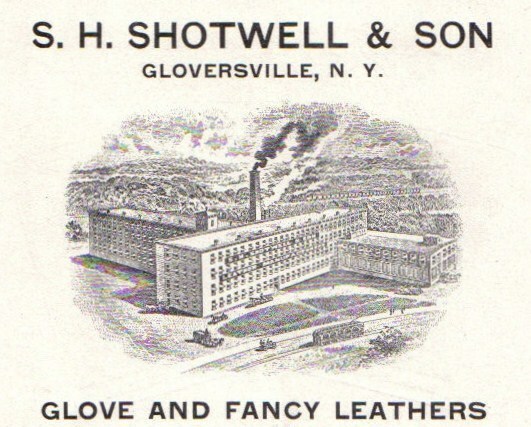 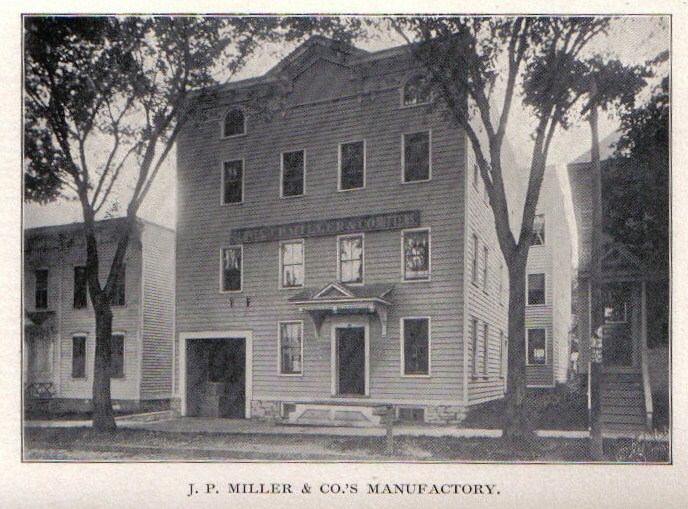 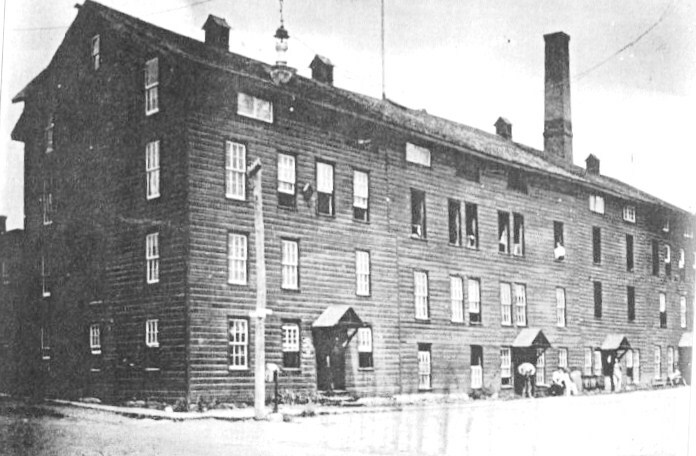 Johnstown and Gloversville were home to numerous glove manufacturing companies and dozens of leather tanners and finishers. 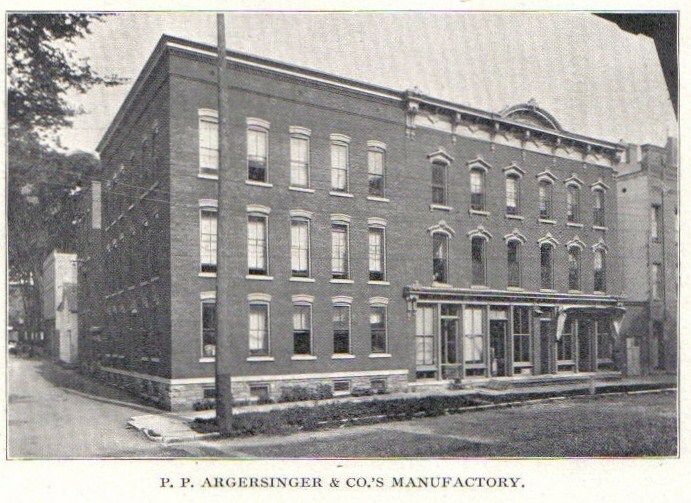 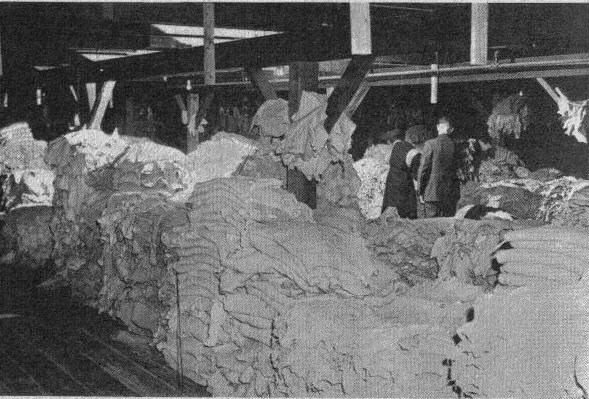 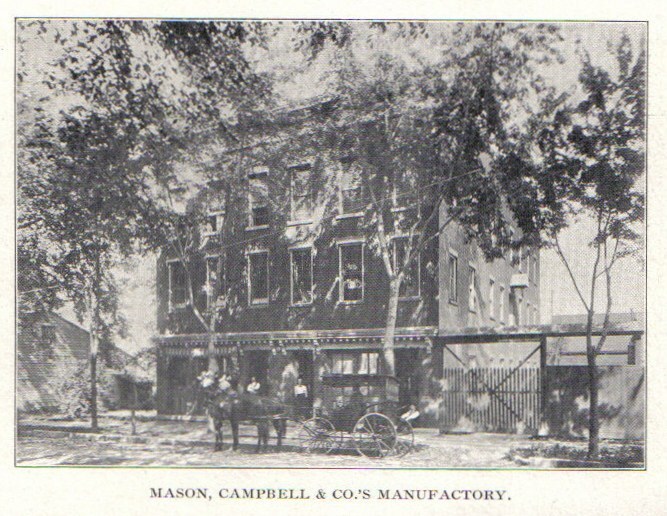 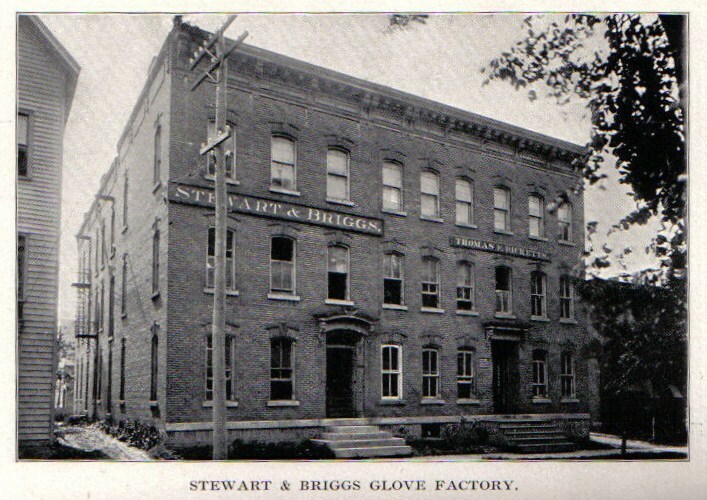 Thousands of people were employed by or affiliated with the glove and leather industries, making them a major part of the economic history of the two cities. 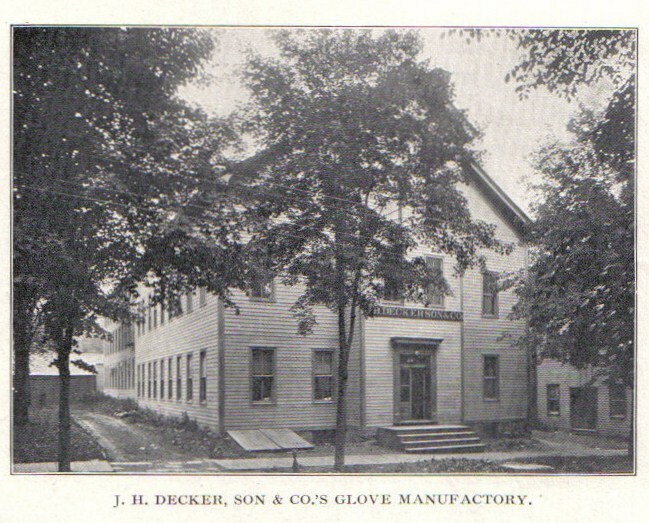 Throughout most of the history of the glove industry in Johnstown and Gloversville, most companies used home workers to sew the gloves. 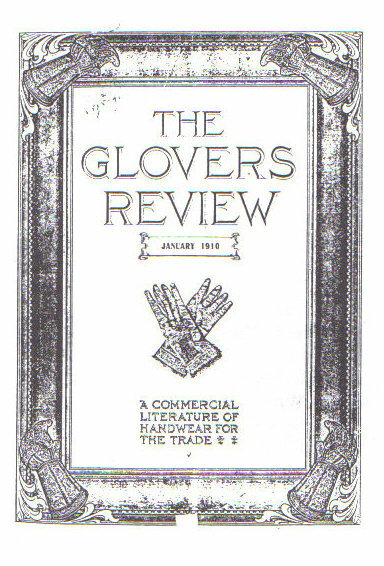 Men cut the gloves from leather in factories and women hand sewed the gloves at home. 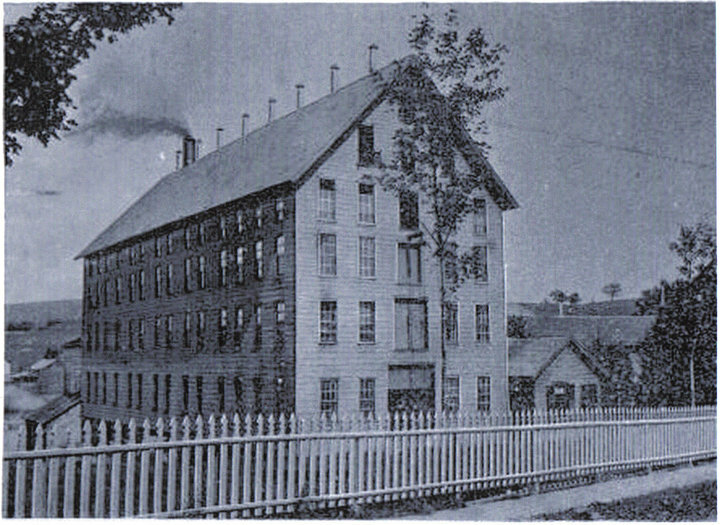 Later when the sewing machine was developed, many women moved to the factories to work. 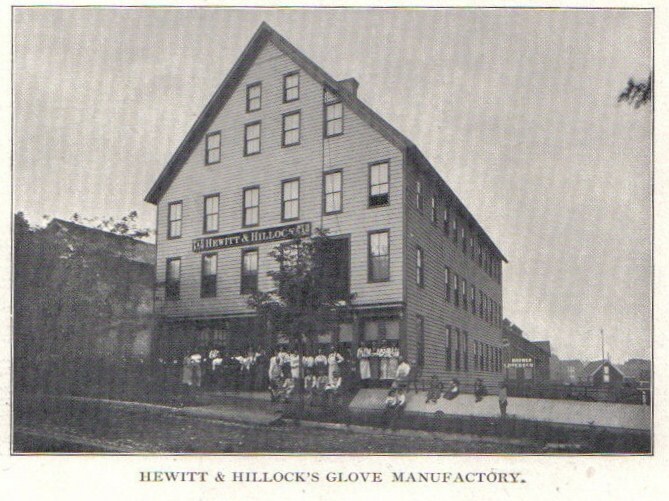 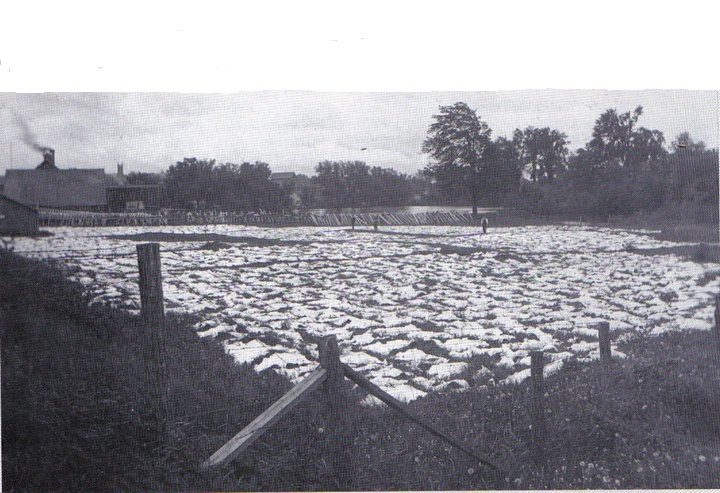 Until the last years of the 20th century, home glove workers were still working in the area. 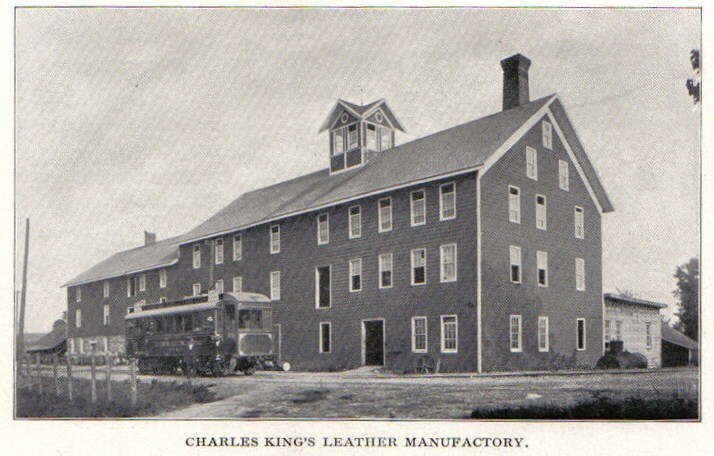 Today, there are a handful of leather tanneries and finishing plants and a few glove companies still in existence, locally. 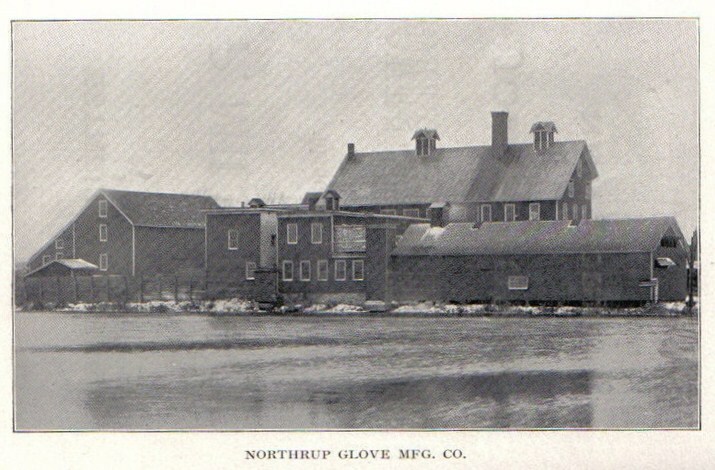 The great "glove cities" are nothing like they once were when nearly every area family had a part in the one-time "glove making capital of the world". 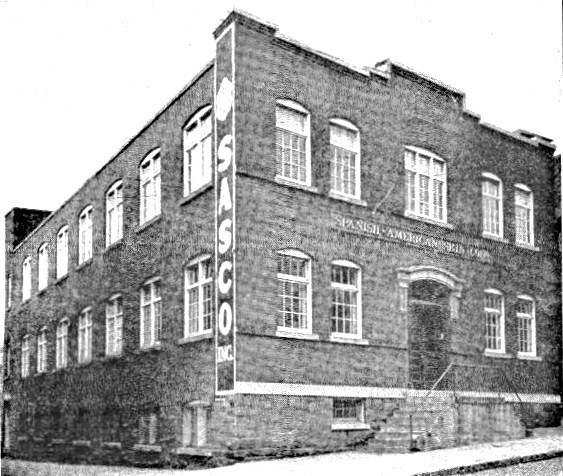 quickly replaced with this state-of-the-art concrete and steel facility. 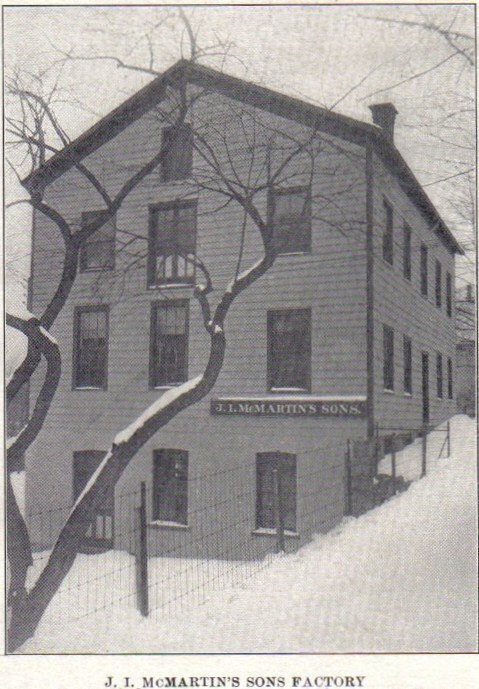 and still exists at the end of Crescendoe Rd, formerly Beaver Street. 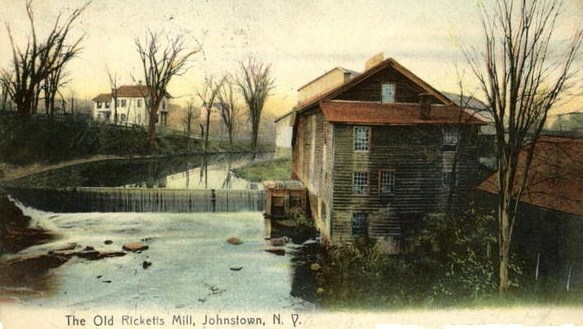 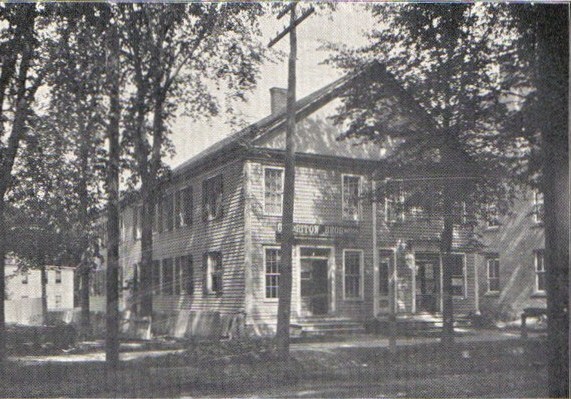 Mill St. (Pleasant Av), Johnstown, circa 1900 looking South from Grove St.